SAF Shop carries art-related publications, international and local magazines and books describing Sharjah’s cultural history and geographic heritage. Also available is a selection of unique gifts and educational items for adults and children. 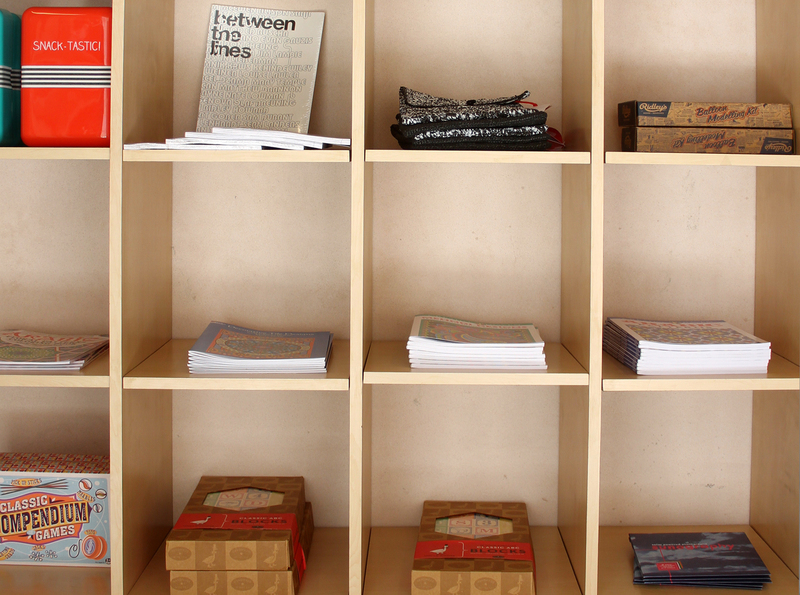 SAF Shop stocks copies of Sharjah Biennial catalogues, exhibition booklets, commissioned publications and other art-related books. • For a list of SAF Publications please click here. In addition to publications, SAF Shop also carries a selection of unusual gifts and products for adults and children including journals, vintage toys, gardening and photography tools, colouring books and music related products. SAF Shops are located in Al Mureijah Square near the Information Center and Arts Square opposite Sharjah Art Museum. • For more information about Sharjah Art Foundation Venues please click here.